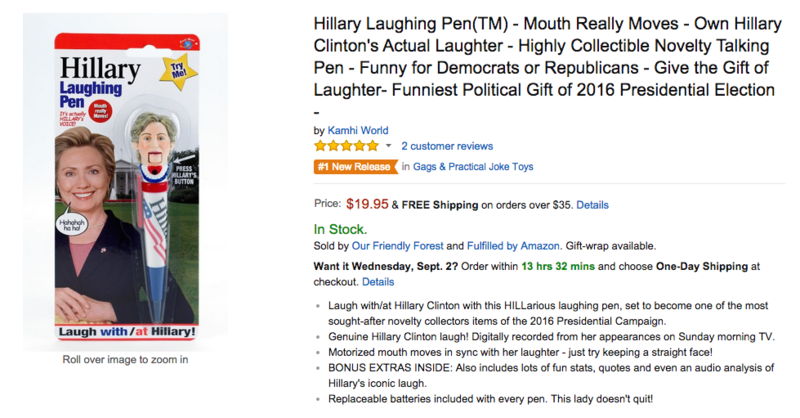 Kamhi World hired my services as an Amazon listing expert to write the sales copy for their Hillary Clinton novelty gift. I wrote the title, bullets and product description using the proven Amazing.com 10-step formula and balanced that with engaging, persuasive sales copy and strategic SEO keyword placement. The product went on to become an Amazon #1 new release in its category.